Have You Already Found The Cellphone? Take The Challenge! MANILA, Philippines - “It took me three days before I found that phone! 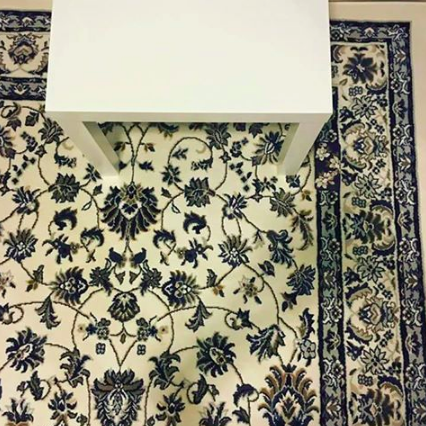 It was madness!” Said by a netizen who tried to solve a mysterious photo of an ordinary carpet and a plain white table on it which has gone viral early this week. Along with the photo is an instruction: Find the cellphone. Looks a simple task to do, but in reality, it is not. Lots of people have looked at it and tried their very best to figure it out. Few have succeeded but many have failed big time. Plenty of pictures of this type have already circulated online. The likes of: Find the Panda, Find the Snowman and a bunch more. But the Find the Cellphone, which many believed, is the hardest among them all. This fun game became the stress reliever of many netizens after reading too much violent news online. It’s funny that still plenty of folks weren’t able to locate the cellphone and it’s even funnier that the people who were able to solve the case remain silent and don’t give any spoilers, even a hint on what the cellphone model is that added more frustrations to the puzzled and brain-twisted individuals. They say that in order for you to find the cellphone, you must increase the brightness of your screen or enlarge the photo in order to see it. Some say, fix your eyes and little by little, move them vertically or move them horizontally. And a whole lot more. Many have tried those tips, but they still failed. Among all the given tips online, only one worked. Focus! Yes, that’s the key, focus.